Monitoring Times, SWL, BCL, montly reports, Broadcast band, satellite television, long-wave coverage, Reviews of new products and radio-related software. Great resource wth reviews, articles, and other fun CB information. A Ham Radio Adventure Book updated - A short adventure book which introduces the reader to the hobby of Ham Radio through the experiences of 14 year old Oscar. CB Radio Magazine - Great resource wth reviews, articles, and other fun CB information. 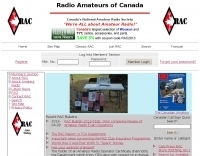 Coax Publications Inc updated - Coax Publications is the publisher of books and CDROMs in support of Amateur Radio and ham radio study guides in Canada. Compendium of Automatic Morse Code updated - Book on CW paddles, history of keyers, keyboards, oscillators, and all things related to automatic Morse code. CQ TV - British Amateur Television Club CQ-TV on-line magazine, it publishes articles on amateur television and related topics four times a year. CQ ZRS magazine - CQ ZRS is official S5 ham magazine, 3800 copies printed bimonthly, published by ZRS and writen by Slovene radioamateurs. Dubus - Ham radio magazine intended for the serious VHF and up operator. Published in Germany, but fully bilingual. EchoLink E-Z Guide updated - Nifty E-Z Guide to EchoLink Operation A comprehensive guide for installing and operating EchoLink. Electric Radio Magazine - Vintage Ham radio restoration, AM operations, radio history, and the largest vintage-only classified ad section. Funkamateur - German magazine about Ham radio, electronics and Computers. Home Power Magazine - Independently published since 1987, home power magazine and homepower.com are resources dedicated to small-scale renewable energy and sustainable living technologies. Monitoring Times - Monitoring Times, SWL, BCL, montly reports, Broadcast band, satellite television, long-wave coverage, Reviews of new products and radio-related software. 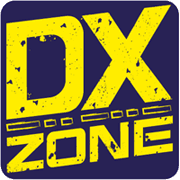 QEX - "QEX is the ARRL ""Forum for communications experimenters."" Published bimonthly, features technical articles, columns, and other items"
Radio Bygoned updated - From the Publishers of EPE, this specialist niche publication is of interest to vintage radio enthusiasts, offering step-by-step rebuilds of selected receivers and helpful ideas and advice. Published every other month, each issue contains articles on radio restoration and repairs, histories, circuit diagrams, nostalgic memories and adverts by specialists. Success Easy CW Tapes updated - Sells training tapes for Morse code that use hypnosis to speed learning. Search only in "ham radio magazines"